There are certain rooms in the home which really add value to a property and, if you’re considering selling, can also help sell it too! Many of us would aim straight for the kitchen when trying to add value to our properties, but you’d be surprised to learn that the bathroom is another area of the home where you can really increase its market price. For a lot of people, buying a home with a brand new bathroom can be a real weight off their shoulders. This means that they’re more likely to pay that little bit extra for that property with a nice new shower enclosure rather than save a little and have to rip out that old avocado suite from the 80’s. There are lots of ways to improve your bathroom ranging from a few little touches to a whole new suite. Below we offer you some useful pointers for improving your bathroom and help increase your property’s value. If your current bathroom layout is old and cramped then it will really makes sense to give it a facelift. 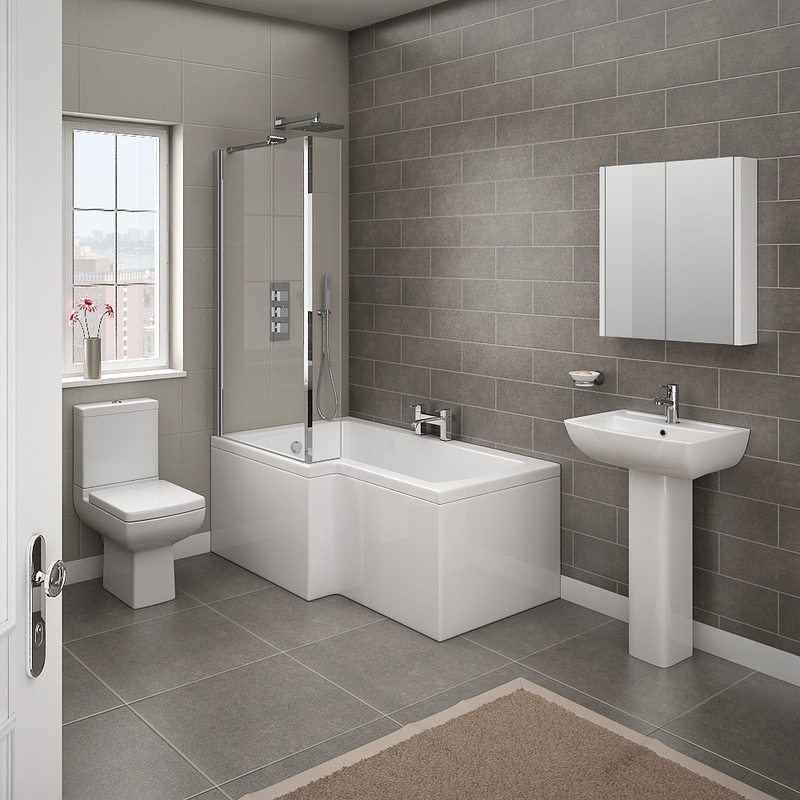 Bathroom furniture made today comes in a variety of sizes including short projection and slimline options. These compact bathroom products can be used to help make the room feel less cramped or even appear larger than it is which will do wonders for adding value. 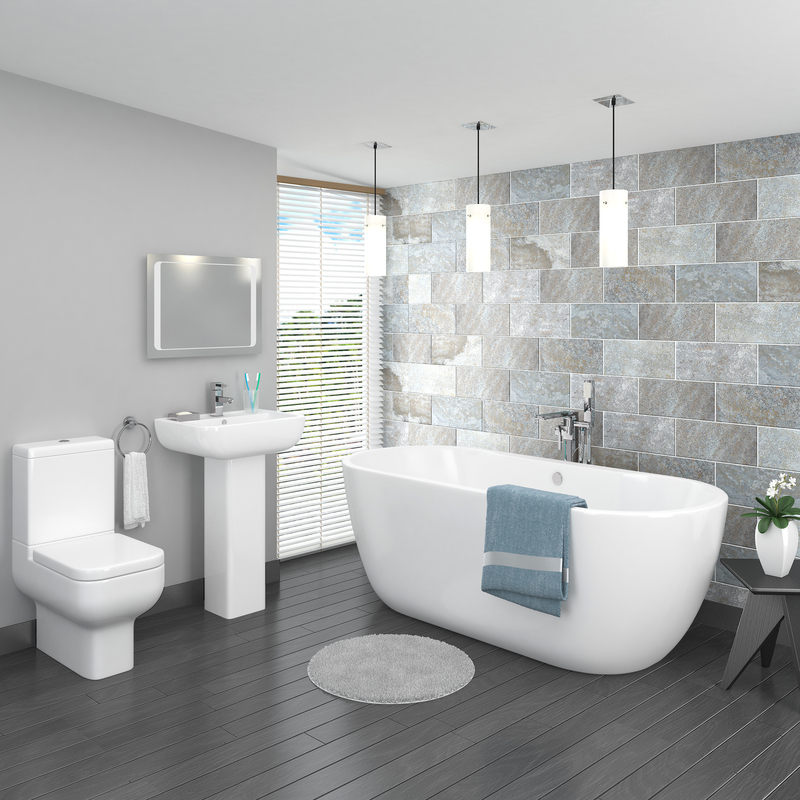 If you want to increase the market value of your property by installing a new bathroom suite then it’s a great idea to consider the potential buyer of your home. 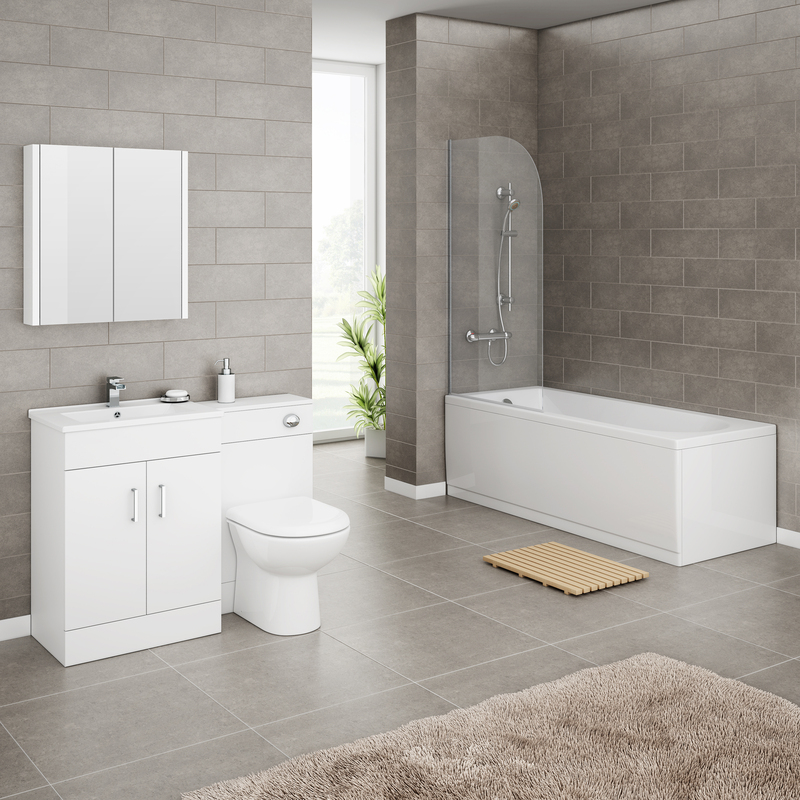 A family home will really benefit from a family bathroom suite, which may incorporate a bath and a shower enclosure to cater for everybody, although a small bathroom may only have room for one or the other. If that’s the case, and you stubbornly protest to still have both options then we recommend you look at adding a shower bath. For the ultimate look then go for a freestanding bathtub. This will give your potential buyer a sense of relaxing feeling and they’ll probably imagine themselves relaxing in the bathroom. This is another way to get them to fall in love with your home and force a higher buying price. Believe it or not, when people walk into your bathroom they’ll notice the walls and floor before anything else. You can either decorate the walls and floor to be stylish and create a feature or you can create a canvas for the rest of your furniture. There are plenty of options for decorating walls. You can paint them, which typically keeps the cost down or you can opt for bathroom wallpaper or tiles. Tiles are typically higher cost improvements, yet they’ll create a stunning finish; gloss tiles or tiles with a mirrored finish can also help the room feel more spacious. Bathroom wallpaper comes in a range of styles, some of which actually look like tiles. Wallpaper is easier to decorate with and some designs feature stunning graphics and designs to help create a beautiful feature wall. Flooring is another essential item for increasing value. Wood flooring, tiled floors and vinyl flooring all make for a stunning makeover. Tiles tend to keep costs down unless you go for stone floor tiles which can add up! Wood flooring looks great but depending on the quality can also be a costly addition. Vinyl flooring is a mid range cost and is perfectly suited to bathrooms and, as with all the other flooring options, can really improve the asking price of your home. Finally, ensuring the bathroom has good lighting is key to adding value. If you can increase natural light in a bathroom then this is advised. Natural light will not only reduce the amount of dull corners in the room, but it also gives you the option to increase the amount of fresh air into the the room. Whether you can or can’t add more natural light the room, adding new bathroom lighting is essential for adding appeal. Spotlights and downlights allow you to create greater coverage and if you want to highlight certain areas of the room – they allow you to do this too! Whether you choose to go all the way with a bathroom makeover or just do some serious tidying and small additions such as bathroom accessories, focusing on your bathroom can really add value to your home. Depending on what you put in will obviously influence the result but doing something rather than nothing will always help in one way or another.